WordPress is an open source platform and you can use for free. It started out as a blogging platform in 2013. It is built in a way that makes it easy for any developer to deliver themes, plugin and software that is easy to incorporate into the CMS system. Its Content Management System (CMS) allows users to create and manage blogs and websites. Its system is so flexible and it is a great platform for all kind of audiences across the globe. This case study contains best leading brands that use WordPress. You can check these sites out to get some ideas and what WordPress is capable of. WordPress powers almost 27 percent of the entire internet. WordPress sites receive 22.17 billion monthly pageviews. There are more than 47,000 WordPress plugins. WordPress is most popular with businesses, least popular with news sites. Bloomberg releases the power of information to encourage people who want to change the world. Its Professional Services connect decision makers to a dynamic network of information, people and ideas. 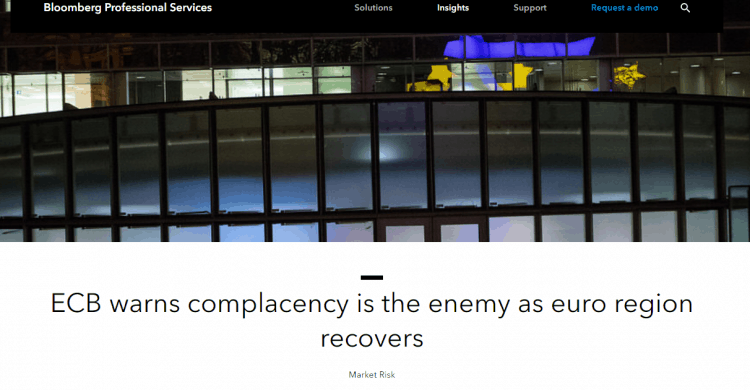 The Bloomberg Professional websites offer their professional insights and expertise on all of the finance, given that access to information on financial and business information, proudly powered by WordPress. Mercedes-Benz is one of the most famous recognizable automotive brands in the world. It’s blog offering the most comprehensive collection of Mercedes-Benz information anywhere in the world. Built with WordPress structure helps them to upload their rich multimedia content and displaying their luxurious cars and other manufacturing automotive. The Walt Disney Company is one of the world’s leading producers and providers of entertainment and information. With their professional & simple website, they can display their portfolio of brands to help differentiate their content, services and consumer products. 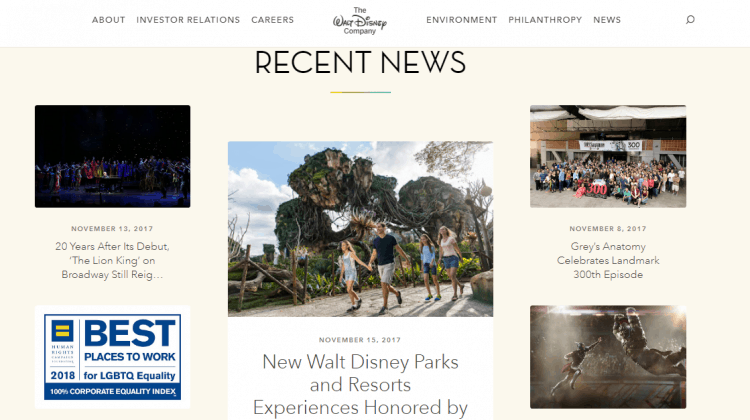 Disney uses WordPress to power their content, services and consumer products. Continually informing with their latest financial and press news quite easily with WordPress. The site is beautiful. The design is powerful and attractive. 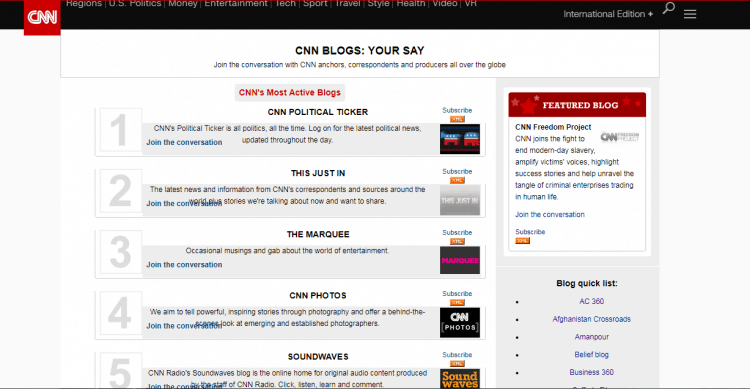 CNN is a simple, clean blog that is packed with information. This website is an excellent example of a WordPress in action. The text is clear and the site has lots of links to different CNN blogs. They use WordPress as the backbone of their company’s online presence. This website is the hub of their business operations. If you want to make a news style site, check this one out for inspiration. 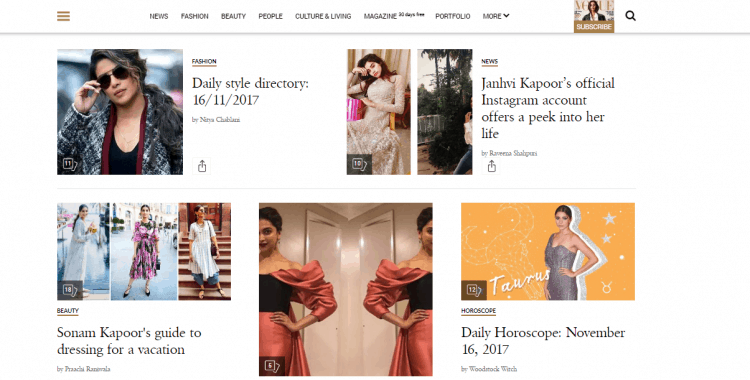 Vogue India is a stylish online magazine version of Vogue. It possibly gets a lot more views than the actual magazine. Like most fashion magazines, the site is stylish and clean. The Vogue India website very readable and most of all perform well.